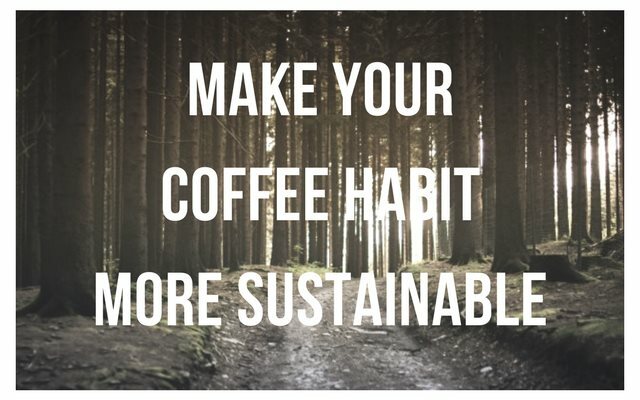 If you are looking for ideas on how to be more sustainable about your daily coffee habit, read on for five ideas. 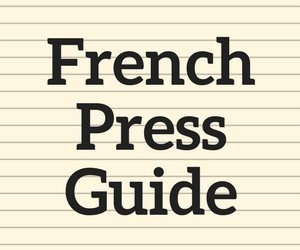 Many drip coffee makers have warming plates designed to keep coffee warm for hours. What these plates really do is burn your coffee and burn your wallet. One Computer World writer said his warming plate consumes nearly 1,000 watts of electricity while powered on. These plates also overheat coffee and ruin the taste. Brew with a thermal coffee maker instead. Thermal carafes keep coffee warm for hours without the need for heating up. Your coffee and your energy bill will both be easier to digest. Not to mention metal carafes never break. 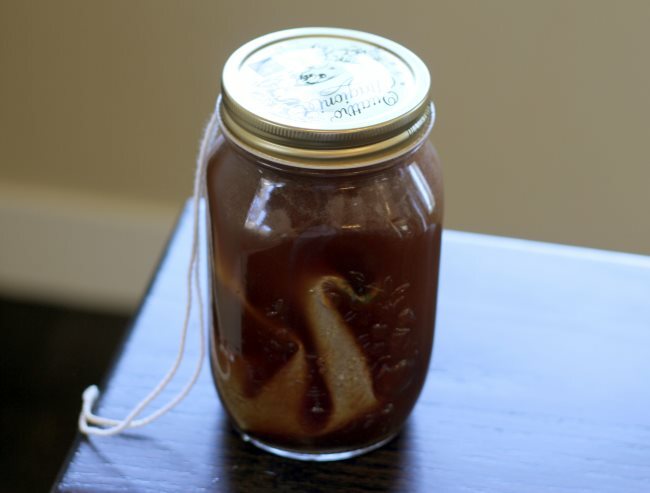 From the INeedCoffee tutorial, Cold Brew Coffee is Not Rocket Science. #3 Don’t forget about the birds! Birds these days have more than Windex to worry about. As our penchant for coffee grows, millions of acres of trees are being cut down to make way for plantations, destroying the habitats of many rare and endangered migratory birds. This affects ecosystems thousands of miles away from coffee growing areas. Look for a retailer that stocks Bird-Friendly-certified coffee. These shade-grown beans have all the benefits of organic and shade-grown coffee, including the better taste, but also support the Smithsonian Migratory Bird Center. The birds and other wildlife that depend on preserving tropical forests will thank you. Keep in mind that fair trade coffee isn’t necessarily organic (though most are) and organic coffee usually isn’t shade-grown unless otherwise specified. If you can’t find Bird Friendly coffee in your area, organic shade-grown coffee is your next best bet. 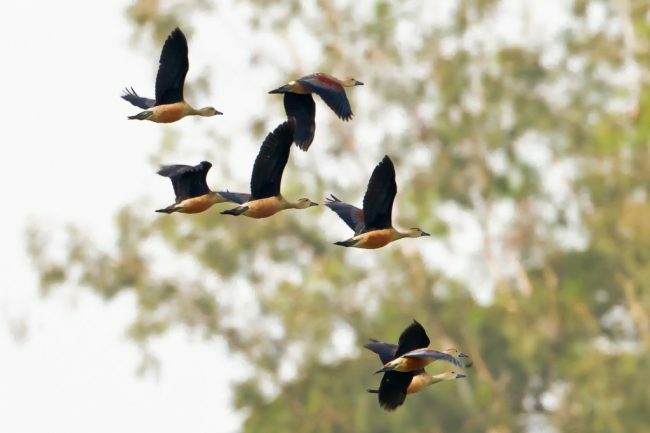 Photo from the article Ecofriendly Shade Coffee as Stopover Sites in Bird Migrations by Dr. Anand Titus Pereira. Reuse coffee grounds to make the most of your purchase. And by reuse, I don’t mean put them back in the coffee maker. Coffee is an excellent fertilizer. Coffee grounds are rich in phosphorus and potassium. They also contain nitrogen and other trace minerals essential for plant health. Add some to your houseplants or throw them in the garden. You can also use coffee grounds to deodorize refrigerators and as part of your beauty routine. Gently rub coffee against the skin to exfoliate. You can even dye your hair, albeit temporarily, with coffee! 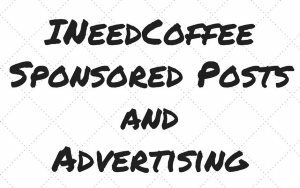 Single-serve coffee makers such as the Keurig line and Nespresso are certainly convenient. Yet the pods are clogging up landfills across the country. 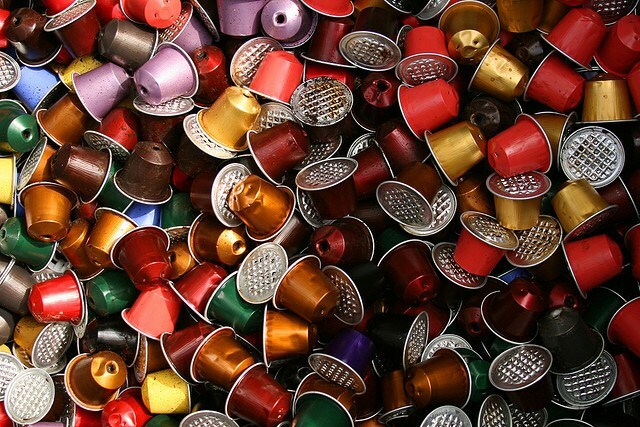 Coffee capsules are made up of a combination of plastic, aluminum, and paper that can be recycled individually, but not as a single unit thrown in the trash can. 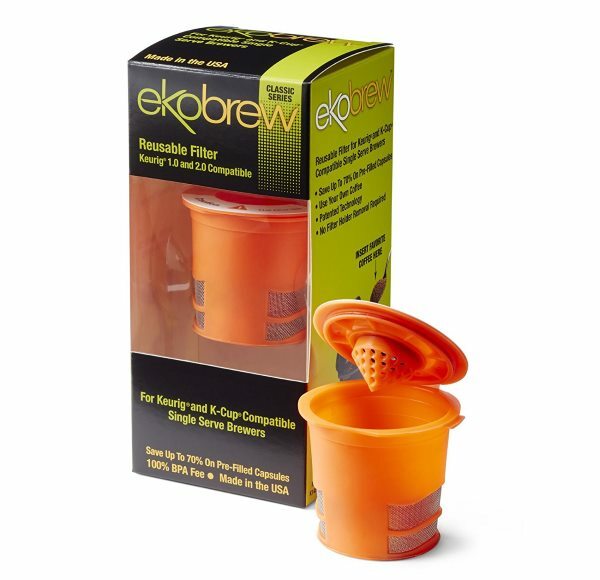 Switch to a reusable coffee pod such as the Ekobrew for Keurig or the CoffeeDuck for Nespresso to be more sustainable. Your wallet and Mother Nature will thank you. 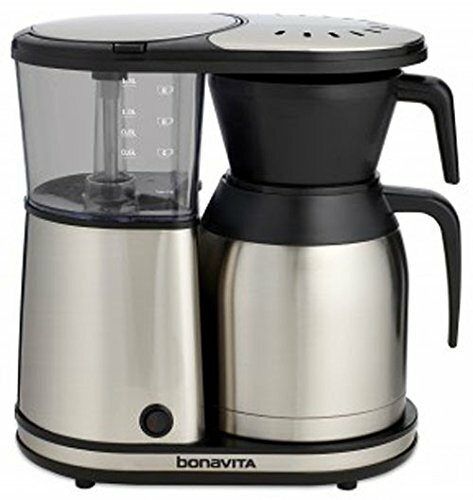 If you’re in the market for a new coffee maker and single-serve is a must, look for a model that uses flow-through water heater. These heaters warm up water only as needed and power down when coffee is not brewing, resulting in energy savings of up to 50%. The Department of Energy recommends the Bosch Tassimo for its flow-through heater. When this article was first published there were no fully compostable options for Keurig K-Cup brewers. Now there are. 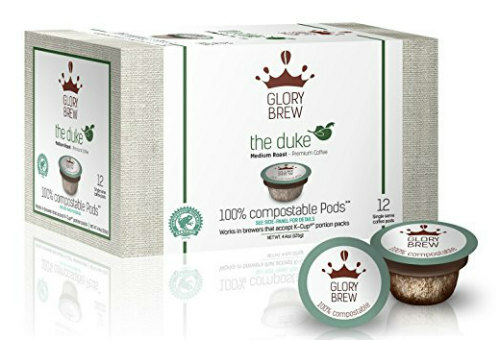 Glorybrew is available on Amazon in three roast levels and the reviews are impressive. 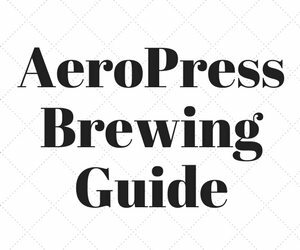 Coffee Brewing Guide – INeedCoffee guide to coffee brewing methods that are more environmentally friendly. Can You Recycle K Cups pods? – FAQ hosted by Recycleacup. Daniel is the owner and Editor-in-Chief of Coffee Krave, an up-and-coming blog featuring everything coffee. His current coffee setup is an Aeropress paired with a Hario Mini Mill, which is perfect because he enjoys traveling and always brings his coffee with him. Daniel also works as a freelance photographer in his spare time.